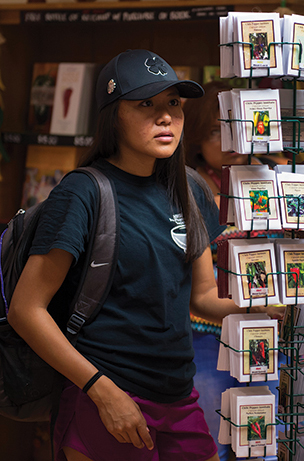 In a tri-cultural state, New Mexico State University strives to fulfill its land-grant university mission of serving the educational needs of its diverse population. A point of pride for NMSU is being one of two land-grant university systems in the United States designated as a Hispanic-serving institution. Yet, NMSU serves many other ethnicities, including a large number of Native American students. Another point of pride is NMSU’s dedication to designing programs that equip the Native American population of the state through local community training and college degree programs. For four decades, the Indian Resources Development program has encouraged Native American students to pursue degrees. 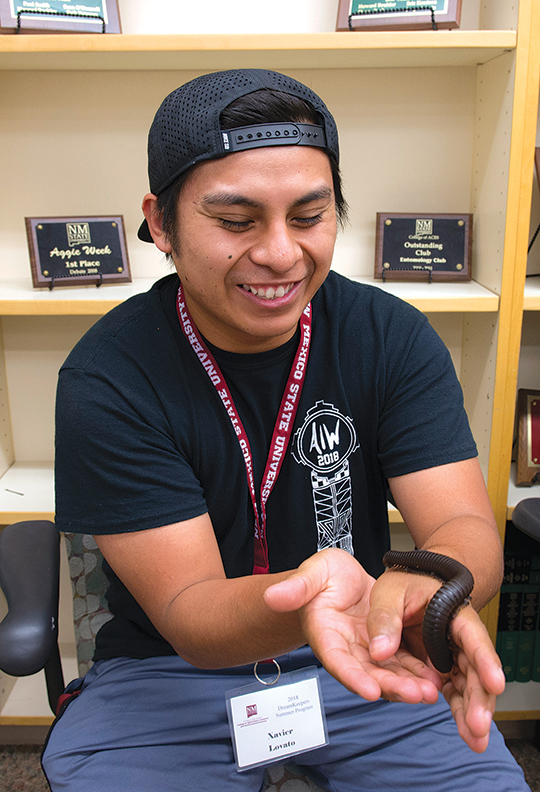 One component of the IRD is to introduce Native American high school students to NMSU through the DreamKeepers program. 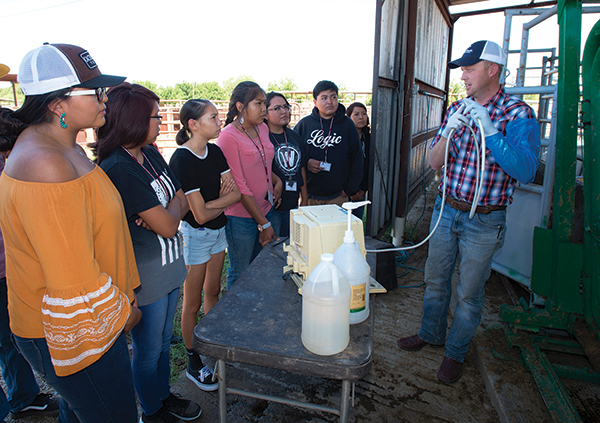 Hundreds of youth have visited the Las Cruces campus to explore career opportunities and degrees in business, agriculture, consumer science and engineering. American Indian enrollment during the 2017 academic year throughout the NMSU system was 1,502, including 698 at the Las Cruces campus. NMSU’s community college campuses had 804 students with NMSU-Grants showing the largest enrollment of 443. Once a student selects NMSU, the university helps the students succeed and achieve their post-secondary goals through access to scholarships and the American Indian Program at the American Indian Student Center. 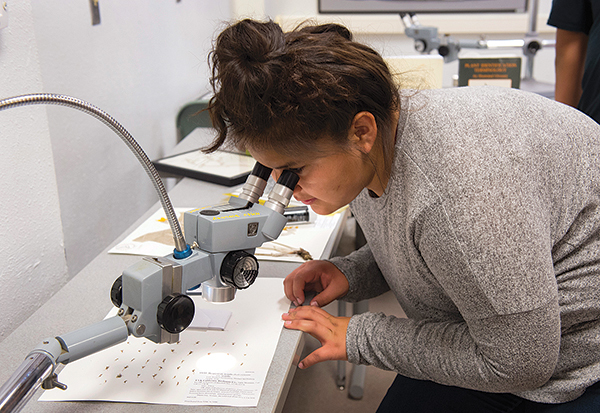 A generous donor recently pledged $125,000 toward the creation of an endowed scholarship for Native American and Hispanic students who major in Chemical and Materials Engineering at the Las Cruces campus and who demonstrate financial need. Outreach to assist tribal communities is another aspect of the IRD program. Recently, NMSU’s College of Agricultural, Consumer and Environmental Sciences leadership met with Mescalero-Apache tribal leaders to discuss the types of projects that could be done collaboratively. •Tribal Extension programs serve the Navajo Nation in northwest New Mexico, delivering community-based education to revitalize agriculture, implement culturally appropriate youth leadership programs and strengthen the bonds between individuals, families and communities. •New Mexico Pueblo Beginning Farmer and Rancher Program provides agricultural training to 100 tribal members of the state’s 18 pueblos who have less than 10 years of experience in agriculture. •Indian Livestock Days, an annual three-day conference, provides current information to help ranchers improve their herd and economics. The Indian Resources Development Act also encourages NMSU to work with other colleges and universities in New Mexico to provide programs to tribal members. 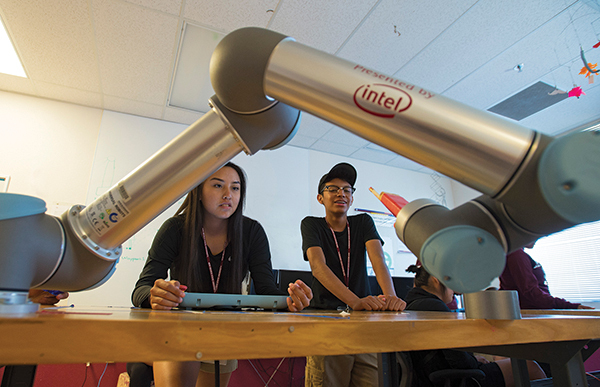 That’s why Arrowhead Center at NMSU and several other organizations are collaborating with Navajo Technical University in Crownpoint to help improve the economic conditions across the Navajo Nation by providing technological tools for future generations. Funded with a W.K. Kellogg Foundation grant, this partnership called, Advanced Rural Manufacturing, is a collaboration of several universities, incubators and manufacturers to help young people and businesses explore opportunities in technology and entrepreneurship.